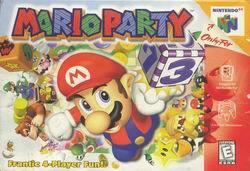 To be honest, this wasn't my favoriite Mario Party game, but it's still fun. Playing this game alone won't be playing this game at it's best. It's really the multiplayer where it's at. There is a ton of minigames you will have a blast playing with your friends. So be sure to try out this game. 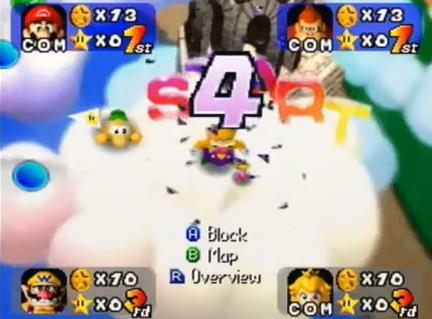 Mario Party wouldn't have gone anywhere if not for the first installment, which is pure multiplayer & singleplayer fun - but generally at highest peak during party play with your friends. 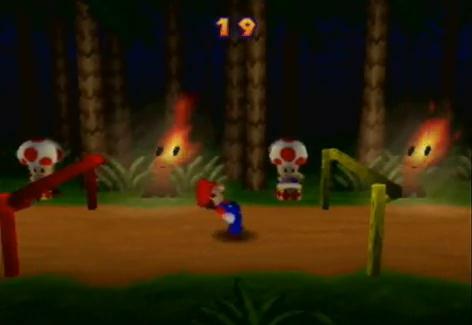 Some games in the series had minigames that lacked party fun, the first game doesn't it succeeds on all sides. Join Mushroom Kingdom all stars as they compete upon a board game style of play, with various different spaces to give the series its own uniqueness. 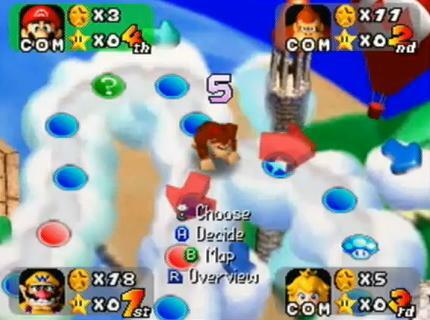 In this option of play, characters roll dice to advance through themed maps gaining coins and losing coins. 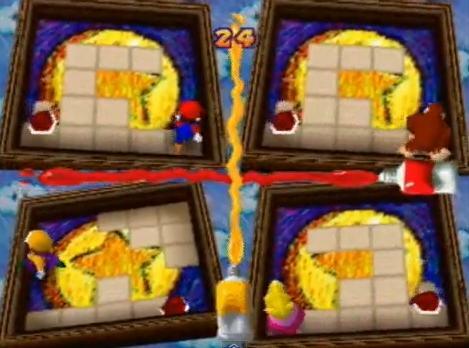 At the end of each turn, depending on what spaces have been landed on, you'll partake in a minigame of certain design, the winner(s) win further coins which will be used to purchase various board game perks, such as 20 coin stars, that serve as the main item everybody will be after. Characters not under control of human players will be contolled by the computer AI, who will play to their set difficulty. 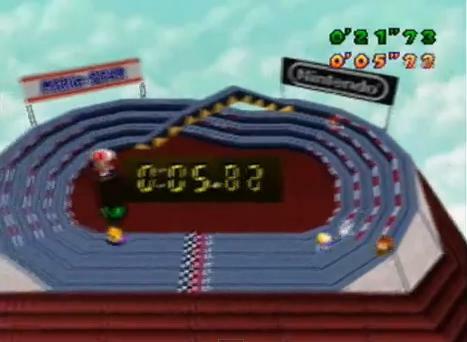 Other modes include Minigame arena duels or board games and a singleplayer minigame adventure mode. 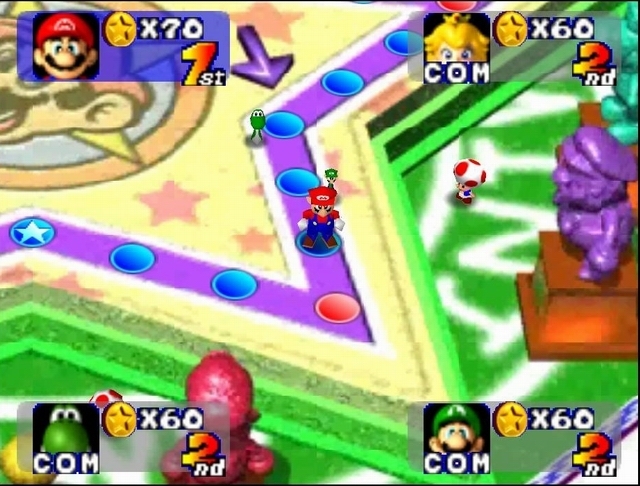 The minigames are each great to play, most of which will make a comeback in Mario Party 2 - the greatest hits - you might say of Mario Party. 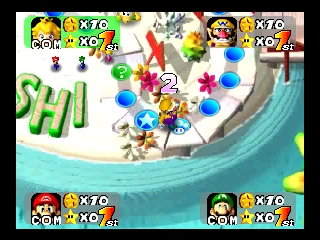 Check out my review of the 2nd and favourite installment right here on Emuparadise as well these two games are not to be missed, in fact all Mario Party games deserve playthroughs as their have always been fun reasons to buy them, check 'em out! I was turned on by Mario Party simply because of the name - because it just sounded so cool. 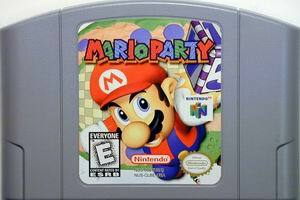 I really didn't know how Mario could be a "party", but this game was really neat! It was very unique too at the time of it's original release. The game is basically a board game, where you hit a dice and move around the board. 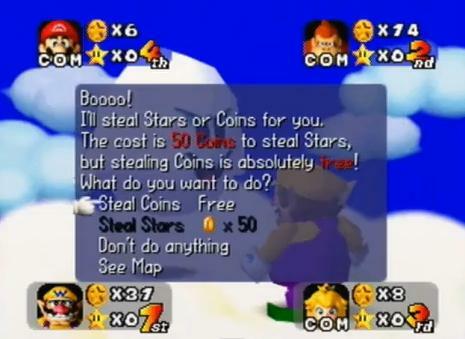 The object being to collect more stars than your opponents and win in mini games. 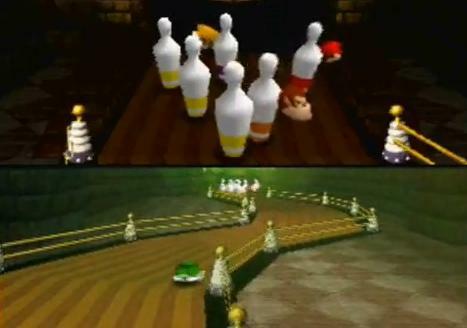 At the end of each turn, the play ends with a mini game where you have the chance to earn coins, and sometimes lose them. 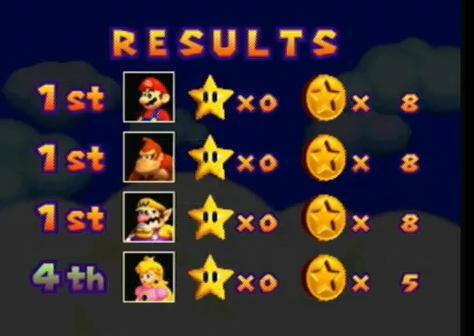 Out of all the Mario Party's, the first one was not my favorite. 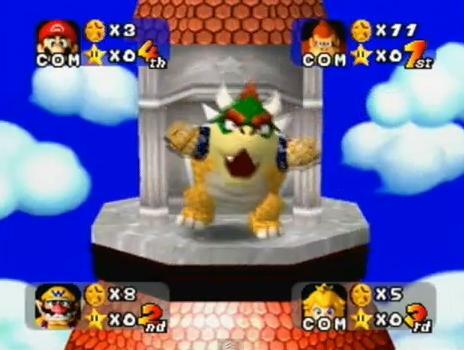 I loved the courses, they were so original and the best of all the mario party's, but the mini games and gameplay itself lacked immensely in comparison to its sequels. Where all it started, and still going strong after 20 years as one of the classic party fun games. Now you can add videos, screenshots, or other images (cover scans, disc scans, etc.) 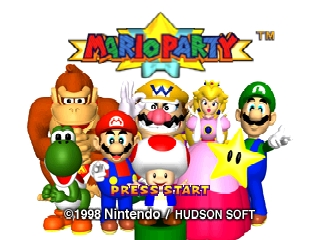 for Mario Party (USA) to Emuparadise. Do it now!